The human body is made of 60 percent water, and all bodily functions are affected if you are dehydrated. Even though drinking fluids is the first way many people think to rehydrate their body, you actually consume 20 percent of your fluid intake from the foods you eat. 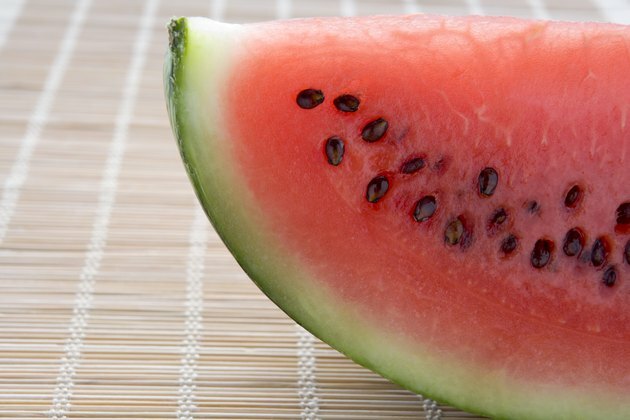 Some foods that contain high amounts of water include vegetables, fruit, soup and even some desserts. When you're dehydrated, it’s also highly likely that you've lost a good amount of sodium and electrolytes, which are essential for bodily functions. 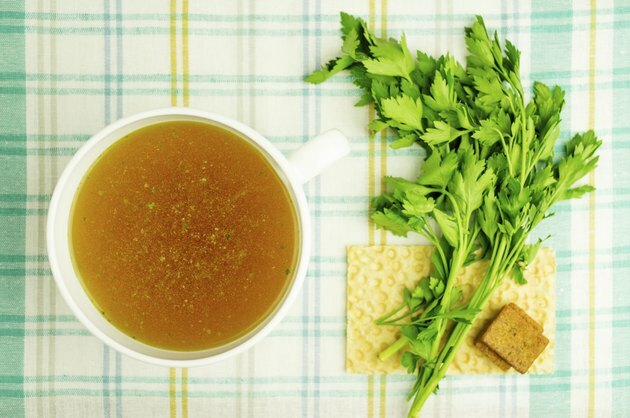 Consuming broth-based soup will help to rehydrate your system while maintaining a low calorie count. Some broth-based soups such as, vegetable broth soup contain up to 98 percent water. Additionally, the sodium content will help your system regain its equilibrium in this instance. 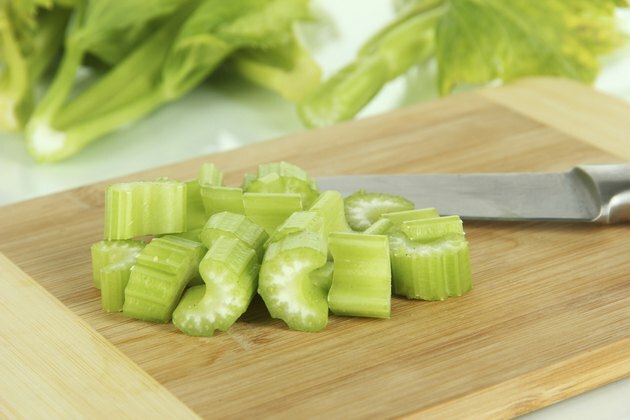 Many vegetables such as, leafy, green vegetables, lettuce, broccoli raab, celery, have 90 percent or higher water content. Napa cabbage, summer squash and cucumber are 96 percent water, which makes them excellent sources of food to eat when you're dehydrated even though -- because of the seeds -- cucumbers are technically considered a fruit. 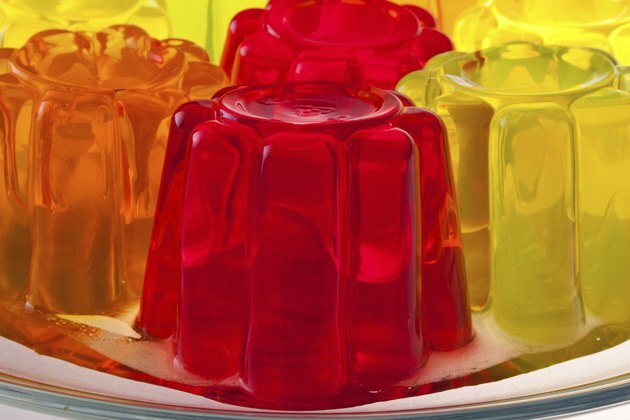 Gelatin desserts are good to eat when you're dehydrated. Similar to soups, gelatins are made mostly of water and contain sodium, which helps nerves and muscles function properly as well as helping to control blood pressure. The calorie content in some soups may be higher than desired, but gelatin desserts remain low-calorie at only 20 calories per 100 gram serving. If you’re a fan of tart and tangy foods such as lime, rhubarb and lemon, you’ll be glad to know that they are at least 92 percent water. 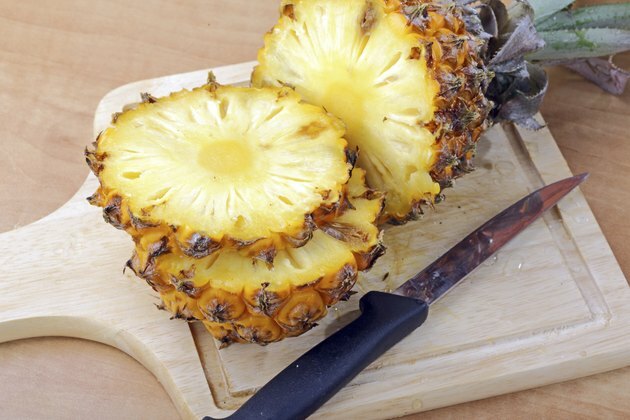 Cantaloupe, watermelon, pears, pineapple and grapefruit all are more than 90 percent water. Nutrients: Dehydration Influences Mood And Cognition: A Plausible Hypothesis?